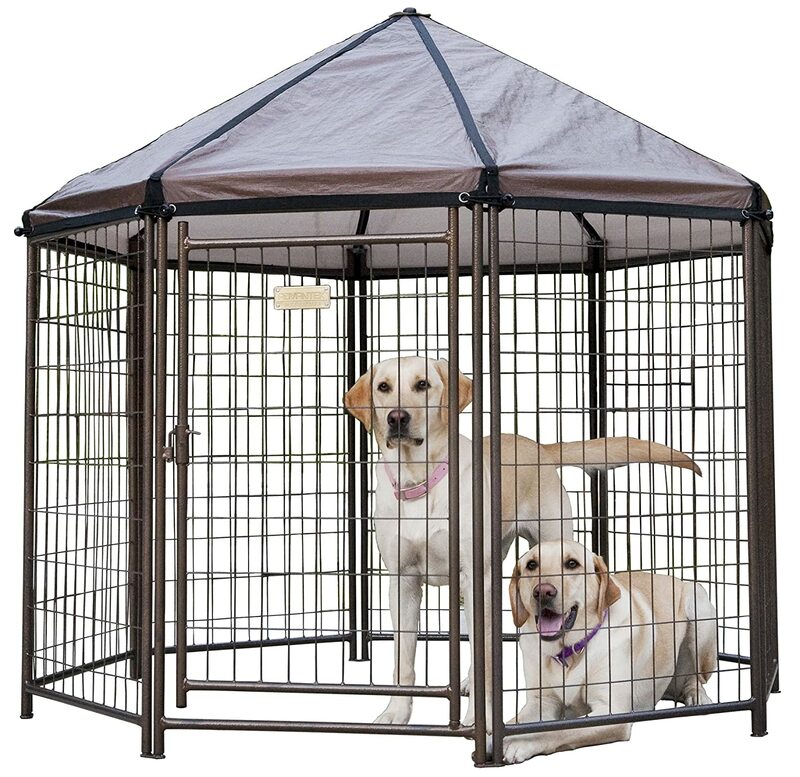 This rugged kennel cover adds a protective barrier between the pet-companion and the outdoor elements. This features a easy to assemble Quick Connect roof structure complete with an all-weather cover for the ultimate in outdoor protection against sun, snow and rain. The kennel cover is made with after weld galvanizing using a process in which the complete panel is galvanized after the welding process providing years of protection. Comes with waterproof UV protective 3- layer polyethylene cover material with reinforced tie down grommets. Fits all 5 x 10 Lucky dog kennels.